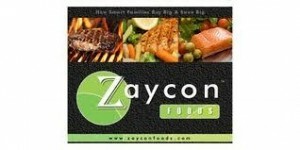 Zaycon Foods and Chicken Soup for the Soul’s new relationship gives you delicious, nutritious and economical food. 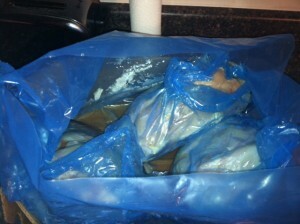 I had the wonderful opportunity to review Zaycon Foods and their chicken. All I can say is WOW. This chicken is delicious! 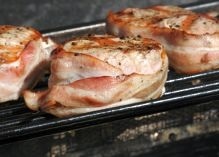 We have prepared it a number of ways since we received it including grilling, baking and using a slow cooker. Zaycon Foods and Chicken Soup for the Soul’s new relationship makes it easier for you to get fresh, wholesome food outside of the traditional retail channels. Pick up was extremely simple. I picked my box up a a local and convenient location on my way home from an event. 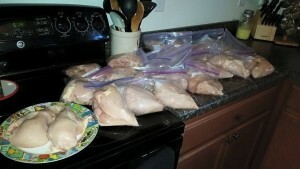 When I got home, we opened the box and began to sort the chicken into freezer bags. Check out how it came packaged and how much we got. The pieces were huge! Plenty to feed our family for a few months. With all this chicken, I needed some fresh ideas for recipes. 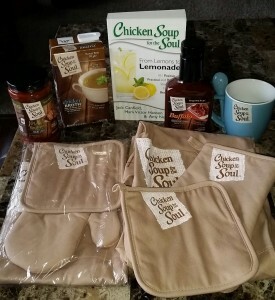 I was fortunate enough to receive some Chicken Soup for the Soul products. 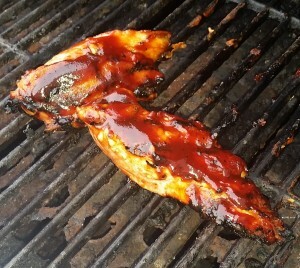 I used Chicken Soup for the Soul Buffalo Barbeque Sauce along with my Homemade Season Salt for some tasty grilled chicken. If you need some ideas, check out some recipes at Chicken Soup for the Soul here. 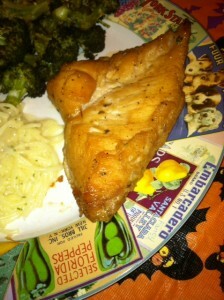 When my kids tried the chicken, they actually complimented me. My kids hardly EVER compliment my “new” recipes and I was floored! All three said something positive about the chicken. Chicken Soup for the Soul food is delicious and nutritious and brings people together around the table for healthy meals. It is premium quality food at a price below the competition. It is packaged in sustainable packaging in environmentally-friendly Tetra Pak cartons and glass. Chicken Soup for the Soul food was created by Chef John Doherty, former Executive Chef at the Waldorf Astoria. Learn more about Chicken Soup for the Soul foods HERE. Chicken Soup for the Soul products for sale on the Zaycon Foods site can be found HERE. Zaycon Foods can sell its products at bulk rate prices to individual consumers and families because our unique sales event business model brings lots of people together, adding all their purchasing power into a combined bulk food purchase. A trip to the grocery store can involve wasted time wandering around looking for various foods spread out across the store; at a Zaycon Foods parking lot meat truck delivery (or milk or berries or fish delivery, too!) you have pre-ordered your foods, so all you have to do is show up and wait for the friendly staffers and volunteers to load up your car. 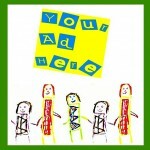 This entry was posted in Recipes, Reviews. Bookmark the permalink.